The hard work, demands, and sacrifices of owning your own business can wreak havoc with your marriage and your relationship with your spouse. While it may not have been the sole cause of your breakup, it could be a factor in divorce-related proceedings. Whether you are a sole owner or own a j0int family business with your former partner, it is important to be aware of potential options in negotiating a marital settlement. You commingled funds earned through your business in joint marital accounts. To protect yourself, you want to begin by firing your spouse, preventing them from doing any further work or contributing to the business in any way. You will also want to get a complete valuation, based on current value and what it was worth before you and your partner were married. Make sure any income you earn from it is kept in a separate account, and pay back any loans which involve your spouse’s money or marital funds. 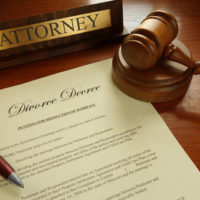 Continue on as partners: You do have the option to continue on as partners, despite the fact that you are getting a divorce. This may be out of the question in contentious divorce cases. Buy your partner out: This may involve having to take out a loan, trading ownership of other items in marital property division proceedings, or having to make payments to your spouse for a period of time. Sell the business: While this is likely to be the least desirable option, it can allow you to start over with a clean slate. Before making any decisions which could impact you now and in the future, reach out and contact Fort Lauderdale attorney Vanessa L. Prieto first. Request a confidential consultation to discuss your case and the options available in your situation.